Keyless Entry Remote Read This First. Before buying a replacement keys or keyless entry or key fob replacements, you will want to READ THIS! Many keyless entry remotes, remote head keys or key fobs sold online are NOT OEM (Original Equipment Manufacturer) compatible. Why is this important? Aftermarket remotes are produced by various vendors and they do not have a consistent level of quality and are not necessarily compatible with the manufacturer's vehicles. As a result, they don't always program successfully. Best always, since you will be paying for the programming, whether it is successful or not, to buy OEM equipment. We always stock OEM equipment. a genuine, FACTORY BRAND NEW keyless remote, you can count on these dependable keyless remotes. for the best quality remote at the very best price! The new remotes are just that; new, unused remotes. Used/refurbished remotes are in excellent condition, fully warranted, and a great value. When I purchased a replacement for my car (2001 Mitsubishi Galant), there was only $10 between the new and the refurbished price. And, with the instructions provided, were able to program it ourselves! 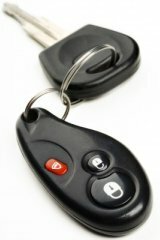 Did you know you that a replacement car key remote needs to be programmed to your vehicle? In fact, for some vehicles you can do yourself and some you cannot. If not, it will require an additional cost to have it programmed at a locksmith or car dealer. All car keyless remote descriptions include information as to whether you can program it yourself, or if it will need to be done elsewhere (plus average cost of this programming at the locksmith.) Our Vehicle Locksmith can perform this service for you! Before you buy from unknown online sources, try our favorite source. to price and order your replacement. I guarantee you'll be glad you did!